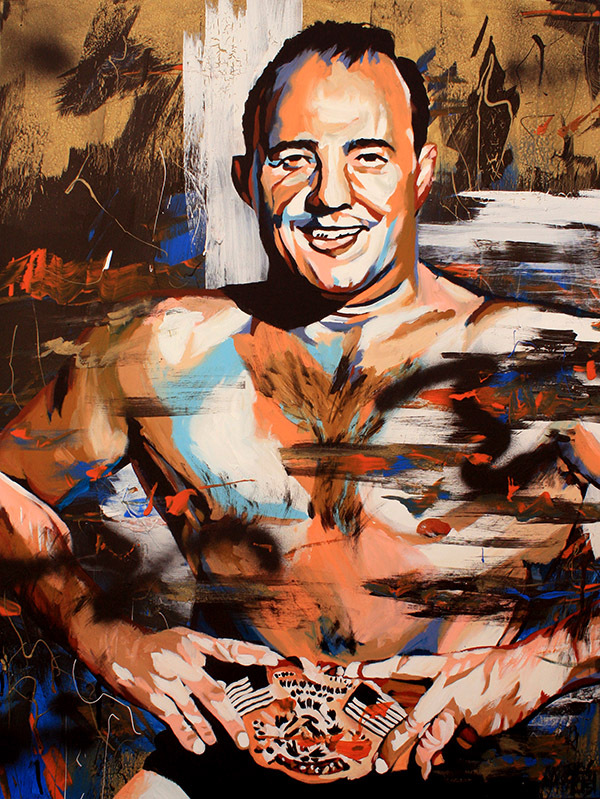 Verne Gagne is one of the most important figures in the history of professional wrestling, whose contributions will continue to be felt for generations to come. Born 1926 in Robbinsdale, Minnesota, Laverne ‘Verne’ Clarence Gagne was a natural athlete, excelling in football, baseball, and of course wrestling. He won in district, regional and state championships as a wrestler and was named to the All-State Football Team. After one year of college with the University of Minnesota in 1943 where he was recruited to play football, Verne enlisted with the United States Marine Corps to serve during World War II. Upon his return to college, he captured two NCAA titles as a wrestler and was an alternate for the US freestyle wrestling team in the 1948 Olympic Games. In 1947 he was drafted by the Chicago Bears, who would not allow him to moonlight as a pro wrestler, as the legendary Bronko Nagurski had before him. By 1949 Gagne transitioned to pro wrestling, where he was able to make substantially more money. He was quickly a star wherever he competed, winning the National Wrestling Alliance Junior Heavyweight Championship in 1950 and the NWA United States Championship in 1953, due to his massive popularity due to his good looks, prolific athleticism, and regular exposure on the Dumont Network. He was one of the highest-paid wrestlers of the 1950’s, and the most popular athlete in America during the early days of television. All of which made it strange that the NWA would not let him become their World Champion. He did defeat Edouard Carpentier for the disputed NWA World Championship in 1958, which was only recognized in the midwestern part of the country. He lost it three months later to Wilbur Snyder. In 1960 he formed the American Wrestling Association with Willy Karbo from the Minneapolis Boxing and Wrestling Club, one of the NWA’s territories. The AWA recognized Pat O’Connor as their World Champion, as he was the current NWA champion as well. The NWA and O’Connor refused to acknowledge this, and thus the AWA title was awarded to the number one contender, Verne Gagne. After notable feuds with Gene Kiniski, Mr. M, The Crusher, Fritz Von Erich, Larry Hennig and especially Mad Dog Vachon, Gagne went on to hold the title for over seven years, a World Title run only bested by Lou Thesz and Bruno Sammartino. Verne put the focus in the AWA on technical wrestling and not the showier side of the sport, and he and Karbo expanded their operations throughout the midwest and even into Las Vegas, San Francisco and Phoenix, and partnering with promotions in Houston, Memphis and San Antonio. These were less about raiding territories and more about strategic alliances (at least from the AWA’s viewpoint! The NWA brass may have seen it differently.) The success of the AWA on its own was a clear inspiration for Vince McMahon Sr to break his World Wide Wrestling Federation off from the NWA in 1963. Verne Gagne was finally bested by Nick Bockwinkel on November 8, 1975 for the AWA World Title, although Verne would regain it in 1980 before Bockwinkel regained it the following year. By this point Gagne was more focused on running the AWA and training the next crop of stars. And stars they were. Verne’s ‘camp’ (or as Baron Von Raschke explained it to me, “A brutally cold crappy barn in the middle of nowhere.”) turned out the likes of Ric Flair, Ricky Steamboat, Baron Von Raschke, The Iron Sheik (who was also a trainer there), Ken Patera, Brad Rheingans, and his son Greg Gagne. That’s a hell of a pedigree. Other major stars who came through the AWA were Hulk Hogan, Mean Gene Okerlund, Curt Hennig, Shawn Michaels and Marty Janetty, Sheri Martel, Madusa, Sgt Slaughter, Bobby ‘The Brain’ Heenan, Rick Martel, the Road Warriors, Supafly Jimmy Snuka, Bruiser Brody, and the future governor of Minnesota Jesse ‘The Body’ Ventura. With the AWA shown on ESPN as well as many local syndications, Verne Gagne and his show were the biggest competition for Vince McMahon‘s World Wrestling Federation. Vince negotiated Hogan away, which was key to the WWF’s success. He would soon take most all of the AWA’s top stars. As fast as Verne could get them over, Vince seemed to acquire them for the WWF. Losing top talent, coupled with the less flashy show, ESPN not seeing the show as a priority, and finally having the state imminent domain the property that was the collateral for his line of credit forced Gagne to close the AWA in 1991, after over 30 years of being in business. If that imminent domain claim hadn’t happened, even Vince has stated that Verne would have ended up winning the cable war. Think about the alternate history that could have been. Stop and think about what you just read, and do it in the context of everything this man did first. The biggest sports star in America due to seeing the value of television. Breaking off from the NWA years before the WWE did. Trained many of the biggest names in the history of pro wrestling, including Ric Flair, who went on to influence countless other wrestlers. Partnered with Dumont and later ESPN, the first to do so. Toy deals. VHS distribution. Taught Hulk Hogan how to feel a crowd, and then build off of that (As stated by Hogan. Let that sink in). If Verne Gagne isn’t the most influential man in pro wrestling’s history, he’s in the top three. Verne Gagne passed away on April 27, 2015 with a life very well-lived. About the piece: I wanted to do something from when Verne was younger and give the figure a real 1950’s vibe, but mix in a lot of more modern approaches, showing that his influence remains. I knew I had to make something special, for such a special human.